We all love a good Christmas party and we will go to big lengths to ensure we throw the best one around. However, not all of us have money stashed around to throw wild parties, so we settle for what we can afford. Luckily, you can throw a great Christmas party without breaking your bank. All you need to do is know where to look. 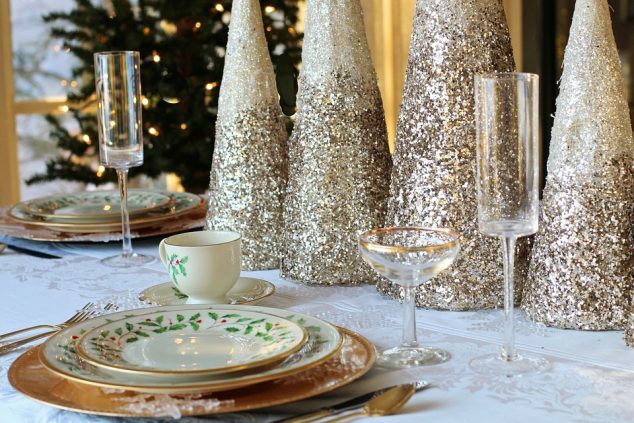 Before you start planning a Christmas party, determine how much you’ll need without breaking your budget. Make sure it is a realistic amount that you can afford. Make sure you track all your spending as you go along to ensure you stay within the budget. There are various apps you can use to easily track your spending in order to make a wise decision when hosting a Christmas party. Before you go out Christmas shopping, make sure you are only purchasing the things that you need. For instance, you’ll need food, beverages, decorations, tablecloths, desserts and appetizers among others. Once you’ve listed down all the Christmas party accessories that are a must, you’ll be able to wisely spend your money for the party. When working on a budget, you’ll need to bite off what you can chew. If you don’t have the budget to host 100 people, you can reduce the number to just a few close friends and relatives. Hosting a small group of people will ensure everyone has enough of whatever makes their party experience great. Party games are great icebreakers and will keep everyone entertained throughout the day. There are many party game ideas you can use for your party and enhance everyone’s experience at your event. Make sure you inform everyone of the games you might be playing so that they come prepared. Candles are great for parties in many different ways. Not only will they enhance the mood but may also save you money on decorations. Wrap some candle jars with burlap and you are good to go. Party chairs and tablecloths can really add up to your expenses. If you have friends or relatives you can borrow some of these items from, then you’ll be able to save money you’d have spent buying new ones. The good thing about planning a party is that there is plenty of room for creativity. Think outside the box and see what ideas you can come up with on your own to save both time and money.